Experienced in food & beverage/catering services is an added bonus. Have good business-sense and strong customer service skills. 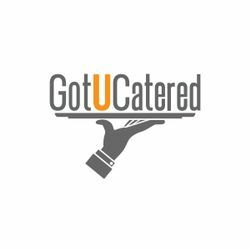 Got U Catered is an internet platform for caterers that provide catering services for Klang Valley. Got U Catered is one of the few organisations that offer a full spectrum of catering services with flexible and efficient solutions, as a one stop centre. In May 2016, Got U Catered was among the top 50 startups selected out of 700 applicants to be accepted into Cohort 02 of MaGIC Accelerator Program ASEAN Startup Track. The program's objective was to accelerate 50 startups to be investment-ready in 4 months, and to build a strong ASEAN startup community. In April 2017, Got U Catered was again selected to be top 100 startups accepted into Cradle Coach and Grow Programme. The programme aims to create a pipeline of high quality investable companies. This selection reflects the credibility and strength of Got U Catered's business model and growth potential. Improve your chance to get this job. Do an online course on Event Management starting now. Hi Roslina, Reach more people by sharing this job with your network.